Better Call Saul wrapped season three with a big death, and it has fans asking questions about Jimmy McGill. Bob Odendirk is already teasing season four of the series. This means fans will likely see Jimmy “break bad” next season. Are you excited for season four of this series? Tell us what you think. 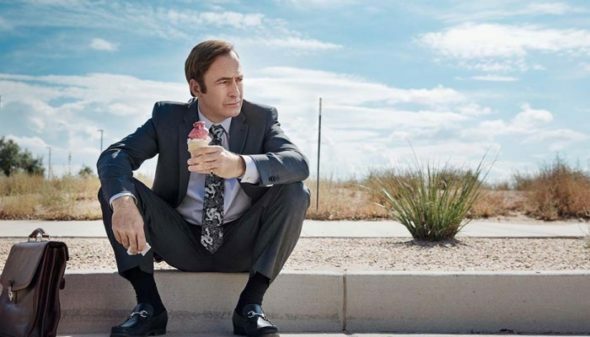 The only problem with “Better Call Saul”, is that they are not enough episodes per series. When they announce it is the show’s finale’ I sit back and wonder just how many episodes did they actually show. It seems as if there are only 8 (or less) episodes. I suppose I should just be happy that AMC is allowing me to watch what I can so I best be grateful. The show is fantastically written; all the characters are interesting and help drive the story. I am SOOOO excited for Season 4 !!!! I LOVE Saul ! !